Whether it is on an everyday commute, or a special road trip, large amounts of driving can soon become tedious, and sometimes music just won’t do the trick. The perfect solution comes in the form of a show that you can carry around in your pocket, and listen to at your leisure–the podcast. 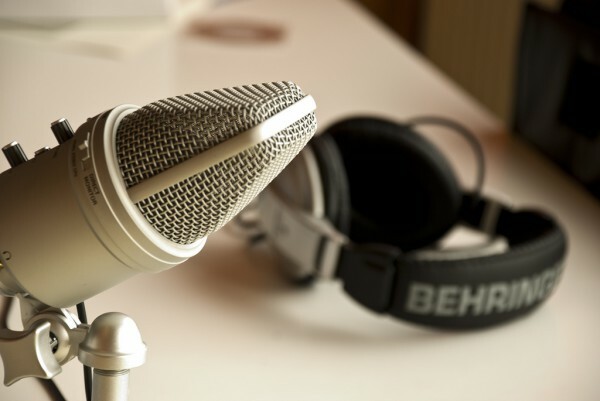 Podcasts have had something of a boom in the last year or so–call it the Serial effect–but there are so many podcasts out there, that when you are looking for one that perfectly suits your personality, it can be hard to sift through all of them to get to the one that you like. So to help you out, we have put together a list of some of the best podcasts that are out right now, from a variety of categories. Though this list is obviously not comprehensive, there’s a good chance that you’ll find at least a couple on here that you really like. So read on, and get listening! After the USA’s success at the World Cup, you might be looking for a way to get into soccer. Men in Blazers is run by two Englishmen in the States, and is a fun listen, even if you know nothing about the sport. Again, this podcast is about soccer, not American football, but it is run by some journalists from UK paper The Guardian, and focuses on the English Premier League. And for football (NFL), the Rich Eisen Show will provide you with smart analysis and excellent interviews, all with a sense of humor. Sometimes you just can’t beat the perspective of a former player, and Ross Tucker gives you just that with his NFL podcast. Chris Hardwick is everywhere these days, but he is perhaps still best known for his hugely popular podcast. As a result he has some of the best interviews out there, and this podcast is a must for any fan of pop culture. One of many excellent NPR podcasts, Pop Culture Happy Hour has the latest news and discussion on anything from books, movies, television, comics, and beyond. Filmspotting is run by two film critics and provides in-depth discussion on anything movies. For something a little broader and a little lighter, this podcast covers the movie industry, and with a lot of colorful language. If you love music beyond the casual listener of the radio, this podcast delivers the stimulating discussion that might just speak to your soul. Comedian Chelsea Peretti entertains as she calls complete strangers and talks nonsense with them. Trust us, it’s hilarious. Much as the title suggests, YouTube star and talk show host Grace Helbig talks to a new guest each week about…well, nothing. A very popular podcast, if you are a fan of in depth celebrity interviews and cutting humor, this is the podcast for you. Irreverent and hilarious–fans of the show, and fans of comedy in general will love it. Pete Holmes has a gift for extracting the very best out of each of his guests, providing interviews that are funny, deep, entertaining, and…you guessed it, weird. If you are a fan of Top Gear, NPR’s Car Talk is the next best thing in podcast form. If you love cars, you won’t be disappointed. Another great and informative podcast for anyone who has a passion for automobiles. Consumer Reports’ talking cars is a video podcast, which makes it more of a bonus option (don’t watch while driving! ), however it is worth checking out if you are a looking for the latest car news and views.